CELKA Z., JACKOWIAK B. 1998. 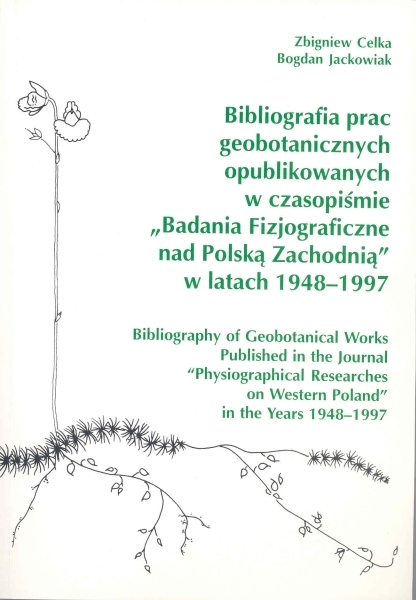 Bibliography of Geobotanical Works Published in the Journal "Physiographical Researches on Western Poland" in the Years 1948-1997. Public. Department of Plant Taxonomy, AMU in Poznaniu. 7: 1-64. Bogucki Wyd. Nauk. Poznań. 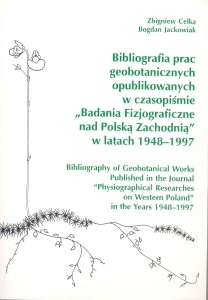 The bibliography lists 420 titles of geobotanical works published in the "Physiographical Researches on Western Poland" in the years 1948-1997. 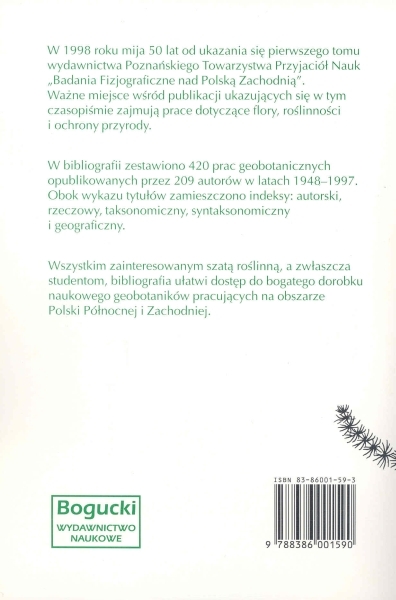 In this journal floristic, phytosociological, phytogeographical and paleobotanical works are published, primarily those dealing with northern and western Poland. Apart from the list of titles, there are indexes (author's, thematic, taxonomic, syntaxonomic and geographical ones) which allow to find a given publication quickly.